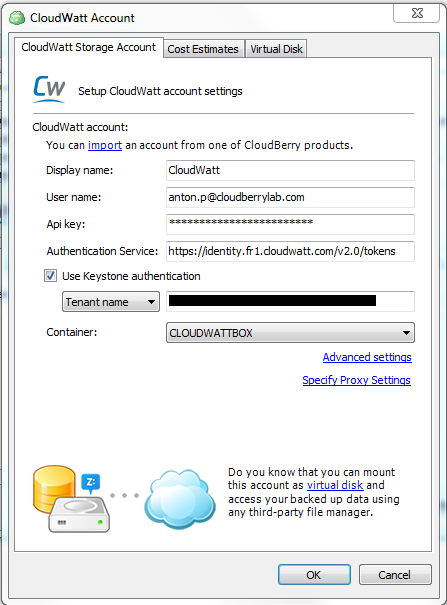 To connect CoudWatt account with CloudBerry Backup you have to enter your CoudWatt account credentials in CloudBerry Backup. 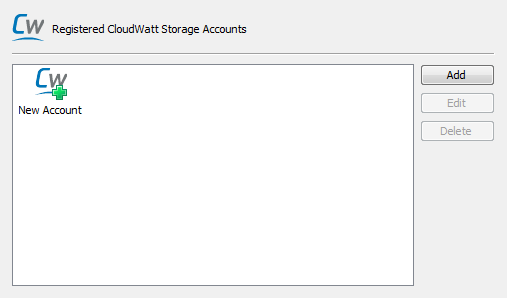 Below is the instruction on how to sign up for CoudWatt Cloud Storage, find your account credentials and connect CloudBerry Backup to CloudWatt storage. 2. Click on the “Stockage et sauvegarde” link. 3. 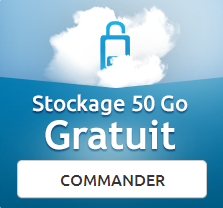 Click on “Espace de stockage en ligne de 50 Go gratuits”. 4. In the opened window click on the “CHOISIR MON OFFRE” button. 5. Click on the “Commander” button. 6. Fill in “Nom” field with your second name, “Prenom” field with your name and specify your actual email. Enter numbers from the picture and click “CREER UN COMPTE” button. 7. Check your email for the message with the confirmation link. 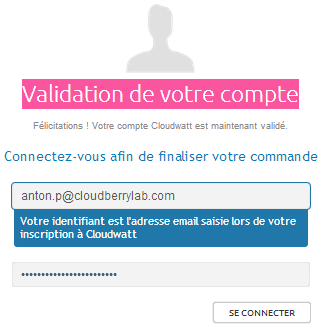 Click on the “Cliquez ici pour confirmer votre inscription” to confirm your registration to CloudWatt cloud storage service. 8. Fill the form with your personal information. “Vous etes?” field is for your occupation. Choose any from the drop-down list. “Telephone” field is for your phone number. Specify your actual phone number. Field under the “Telephone” is for custom URL for your account. Customize it or just leave it as is. “Adresse” field is for your address. “Code postal” is for Zip-code. “Ville” is for your city. The drop-down list allows you to select your country. “Mot de passé” field is for password – specify any of your choice. 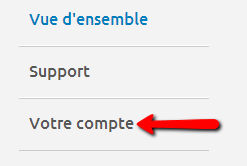 Enter the password again to “Confirmation mot de passé” field to confirm it. Note: your password must consist of variety of letters and numbers for CloudWatt system to accept it. If your password is strong enough, the line will become green. “S'inscrire à la newsletter” box allows you to subscribe to newsletters – it is not is mandatory to check. 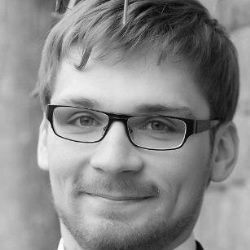 “En cochant cette case, j'accepte et je reconnais avoir pris connaissance des Conditions Générales de Vente de Cloudwatt” checkbox is mandatory to check. By checking this box you agree the Terms of Cloudwatt service. 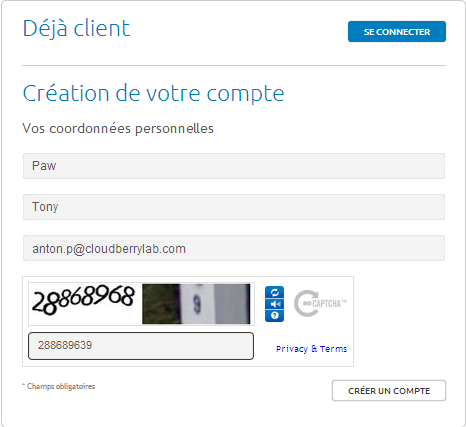 Fill the form as shown on the screenshot above and click “CREER UN COMPTE” button. 9. You will be redirected to the “Validation de votre compte” screen. Enter your email to the “Login” field and your password to the “Password” field. Click “SE CONNECTER”. 10. Next screen is the summary of your order. 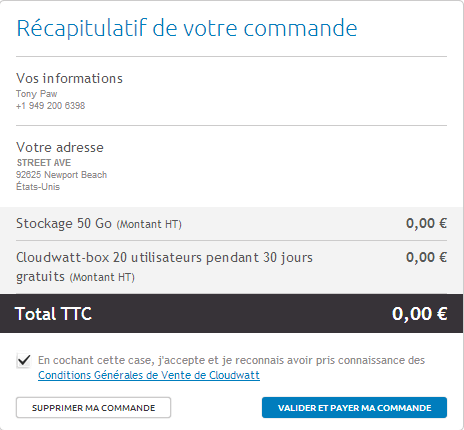 Check the “En cochant cette case, j'accepte et je reconnais avoir pris connaissance des Conditions Générales de Vente de Cloudwatt” checkbox and click “VALIDER ET PAYER COMMANDE”. 1. You will be redirected to the scoreboard screen. Click “Votre compte”. 2. Click on the “OBJECT STORAGE” tab. 3. Now you should see your security credentials. Do not close the tab of your web browser until you register your CloudWatt account with CloudBerry Backup. You will need “URL” and “Nom du Tenant”. Download CloudBerry Backup. Install and launch the program. 1. Start the program and click “File”. 2. 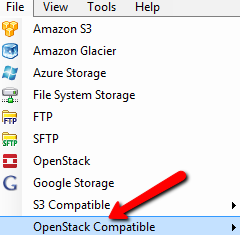 Select “OpenStack Compatible” from the list of storage providers. 3. Click on the “CloudWatt”. 4. Click “Add” button or double-click on “New Account” icon. 5. Specify any “Display name” of your choice. 6. 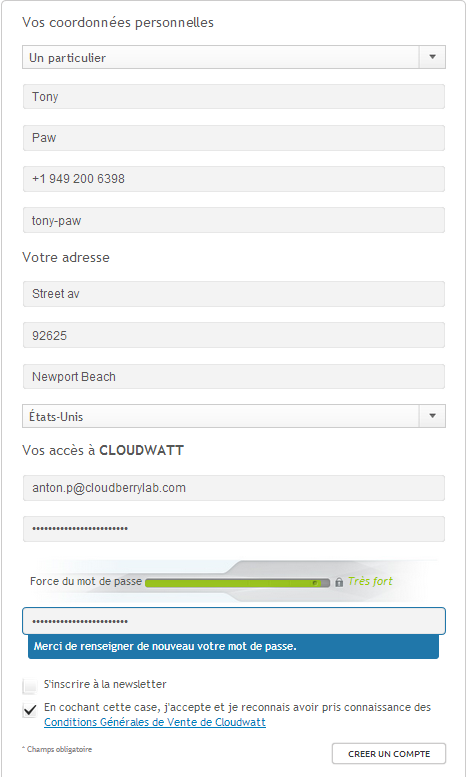 Enter the email you’ve specified as a login for CloudWatt in the “User name field”. 7. Enter your password to CloudWatt console as an API key. 8. 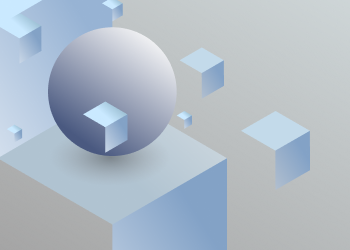 Enter “URL” from CloudWatt console to the Authentication Service field. Type “/tokens” after this URL. 9. 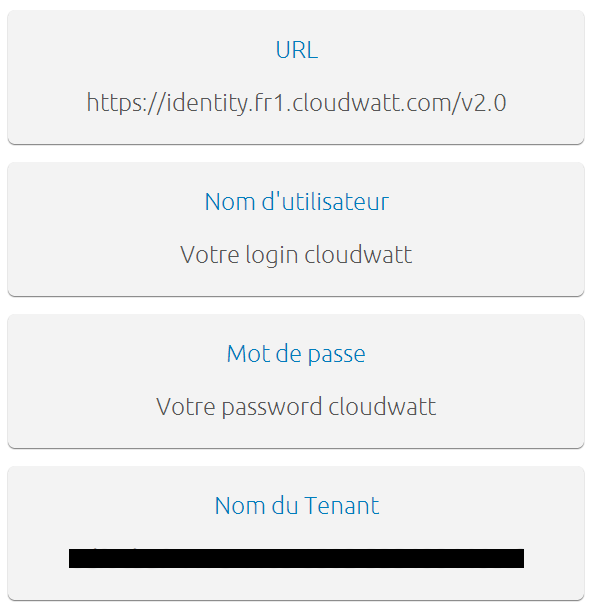 Check the “Use Keystone authentication” box and copy “Nom du Tenant” from CloudWatt console to the “Tenant name” field. 10. Select existing container or create new one. 11. Click “OK” when finished. Now your CloudWatt account is connected to CloudBerry Backup and you can backup your data to CloudWatt cloud storage and recover data from it. Note: this post applies to CloudBerry Backup. You can try CloudBerry Backup for free now. Just download 15 day fully functional trial version.